9254 Guinea Road Hayes, VA located near Achilles Elementary. Food Pantry Trailer is next to Union Hall to the rear of the church parking lot. 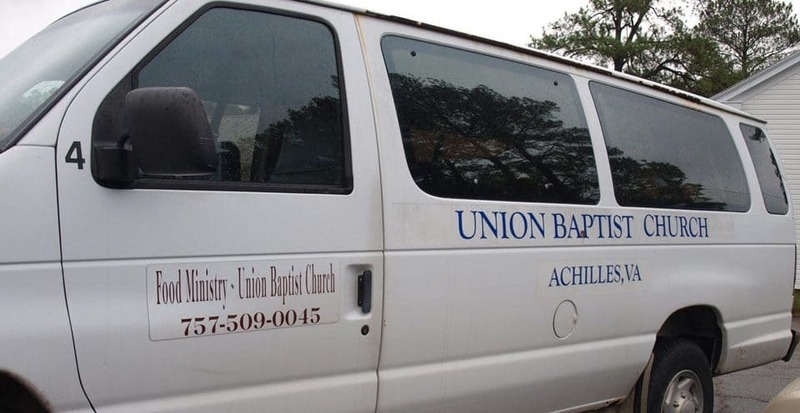 Union Baptist Church helps families and individuals who have basic food needs. Families can receive food once a week. Volunteers invest hundreds of hours of work each year and we are always looking for help. We need workers to help with food collection from area grocery stores and the food bank, loading food for clients on distribution days. To help on Distribution days you can just “show up” and we will put you to work where needed, or you can contact the church office at 804-642-2332. (this will help us plug in our volunteers more efficiently). Training is done “on the job” as you work along side experienced volunteers or one of the directors. Food or monetary donations are also welcome. Food or monetary donations can be made through the church office 804-642-2332.